Big Boss Water Noodles in BRIGHT colors! 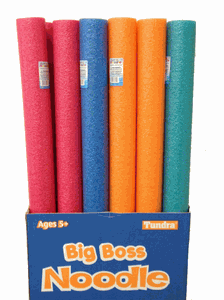 High Density Big Boss Pool Noodles. For use in Swimming Pools, Lakes and more. **For quantities of 300 or more please email us at info@nationaldiscountpoolsupplies.com or call us at 1-866-736-0732 for a quote.